Goodreads: After a tragic accident on Martha’s Vineyard, keeping secrets becomes a way of life for the Tangle family. 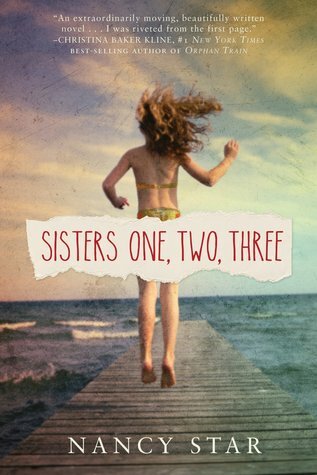 With memories locked away, the sisters take divergent paths. Callie disappears, Mimi keeps so busy she has no time to think, and Ginger develops a lifelong aversion to risk that threatens the relationships she holds most dear. Kritters Thoughts: An accident during vacation rips this family apart and an interesting happenstance may bring them back together. I was surprised quite a few times in this book and loved each time that I was surprised! I don't know how to describe this interesting family drama without giving the major plot points away. I will say that it was so unique and different that I read this book in two sittings in 12 hours. I didn't want each chapter to end and wanted to know more and more about this bruised and battered family. I will divulge that a child dies during a family vacation and the way in which it happens was so different than anything I had ever read. Not that I like reading about child tragedies, this one was so interesting and then the family's response after was heartbreaking and just a good read. This is my first Nancy Star read and her other women's fiction read Carpool Diem sounds like a great light read. I would definitely recommend this one to a reader who likes their women's fiction to be deep and have weight to them. I love that this book sucked you in so thoroughly!